Consumer buying behavior can be defined as a series of activities people engage in when searching, evaluating, selecting, purchasing, using and disposing of products and services so as to satisfy their needs and desires. In the store, the packaging acts as a gateway to the product. Consumers look at the packaging and respond to how it makes them feel at that moment. If the consumer feels that the product can potentially satisfy their needs, it influences their buying behavior. This feeling is a result of choices made across several cognitive stages, thus most consumers find it to be complex and overwhelming at times. Since consumers are often in state of confusion, the most important role of packaging is to alleviate their fears. This article analyzes a typical consumer buying behavior in detail to highlight the role of packaging throughout. Based on Ian Pavlov’s classical conditioning theory, we can treat the consumer as a subject who gets exposed to a product on the shelf, wrapped in its packaging, as the stimuli. The stimuli in this case is heavily cultured to affect subject’s response and achieve a desired consumer behavior. 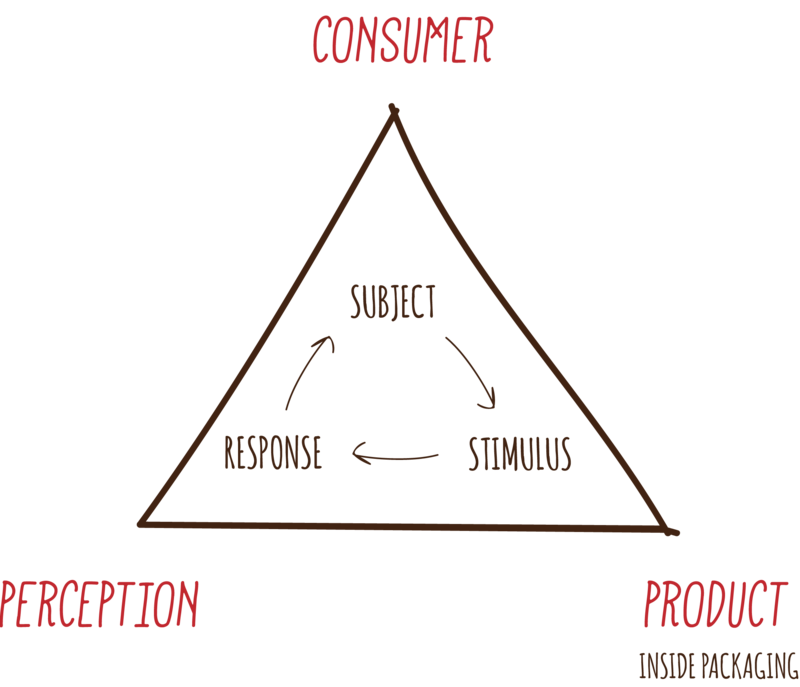 Ian Pavlov’s Stimulus-Response Theory explains the consumer buying behavior. The classical conditioning theory suggests that product packaging directly influences a consumers perception of the product. And the influenced value perception of product is bound to affect consumers buying decision. Perceived value may be seen as an “an overall assessment of the utility of a product based on perceptions of what they receive (quality) versus what they give (price)”. Making a buying decision involves consumers to go through several cognitive and affective mental stages before they make a choice. When consumers recognize a need by themselves or upon provoking, they start to actively look around and consume information available across various channels. Based on what is presented to them during these stages, they form an attitude towards particular choices they begin to trust. After a choice is made, and consumer decides to make a purchase they continue to evaluate their decision while enjoying the product experience. 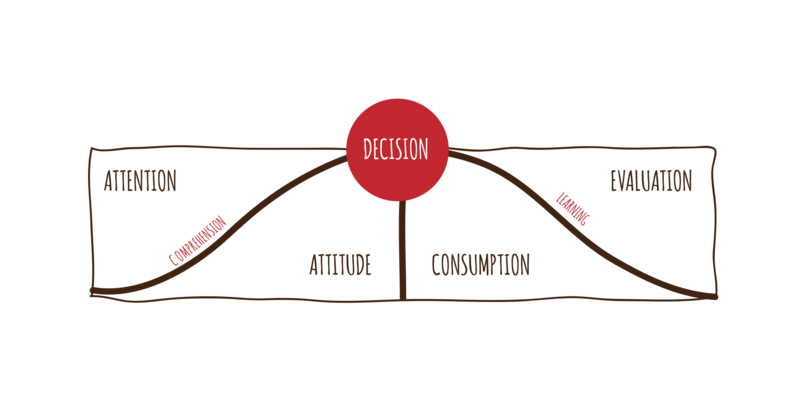 Simplification of the Howard-Sheth buying behavior model used to analyze a decision making process before a decision is made. To ease the burden of making a buying decision, consumers seek inputs from their reference groups — family, friends, colleagues, reviews on online forums, and several other means. Each of these inputs acts as a signal that affect their attitudes and perception towards the product. But filtering information to find the right signals is difficult and it is even harder to retain this information. There are evidences showing that consumers retain only the information that either appeals to them emotionally or one that strengthen their beliefs. When exposed to conflicting signals, consumers get confused and tend to exhibit impulsive buying behavior. Under such circumstances, they rely on product packaging to provide visceral cues which enables them to skip through several decision making stages. An adaptation from Torben Hansen’s conceptual framework explores relationships between various aspects affecting consumer perceptions as they progress through various stages — if consumers perceive a product as highly valued, they get satisfaction from actively engaging themselves in the decision making process. The framework is adapted from ‘Perspectives on consumer decision making: An Integrated Approach, by Torben Hansen, 2005'. Consumers directly equate price with quality. They expect products with high price to offer a high quality experience over other. Throughout the decision making process they look for cues to validate their own expectations. If consumers spent time in validation and available cues indicate a superior quality, they often create emotional ties. When the perceived value of a purchase decision is very high (its financial or social implications), consumers are very cautious. This explains why people are careful when purchasing gifts, or planning for special occasions. Consumers are willing to spend time, involving themselves into the process and ensuring they choose the best under given circumstances. The degree of involvement is subject to consumers personal, psychological, and social contexts hence the extent of their pursuit can’t be determined but their willingness to engage is certain. When perceived value of a purchase decision is low (for routine decisions), consumer tend to take impulsive decisions. This explains why over 70% purchases in supermarkets are unplanned. Although, consumers appear to skip most stages during impulsive buying, cognitively they are responding to the visceral cues from product packaging in many cases and making instant snap judgements about product quality. The importance of these cues in shaping purchase decision can be assumed from the fact that every 9 out of 10 consumers prefer in-store purchase when 5 of them had already researched online. 1. Packaging is the gateway to product perceptions. 2. People are willing to engage, and digital tools can make it exciting. Note — Most of the concepts above are my interpretations of earlier works from various researchers and hence specific attributions was difficult. I’ve listed most referenced works below. If this reading provided you a new perspective on packaging, I would love to hear more about it. Stimulus-response theory for Figure 1 sourced from Purdue University Psychology Class Notes. Definition of consumer behavior sourced from book Integrated Marketing Communications — Consumer Behaviors and Target Audience Decisions. Simplified path to purchase for Figure 2 sourced from previous works of Hyun Kim, Experience Design Director, R/GA. Adaptation of Howard-Sheth Model for Figure 3 sourced from paper The Theory of Buying Behavior by John Howard & Jagadish Sheth, 1969. Definition of perceived value sourced from paper Consumer Perceptions of Price, Quality and Value: A Means-End Model and Synthesis Evidence; by Valarie A Zeithaml, 1988. 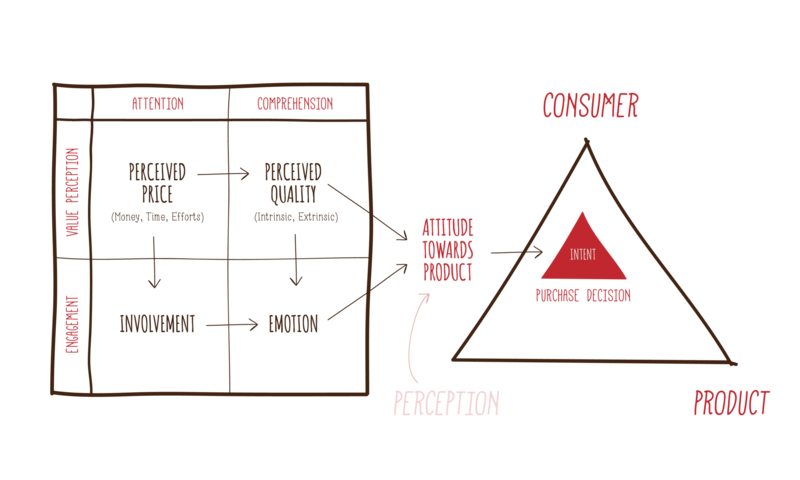 Adaptation of models on perceptions of consumer behaviors for Figure 4 sourced from paper Perspectives on consumer decision making: an integrated approach, Torben Hansen, 2005. Statistics on supermarket purchase trends sourced from report 2012 Shopper Engagement Study, Popai. Statistics on ROPO effect sourced from white paper Google White Paper, Influencing Offline- The New Digital Frontier — The ROPO Effect. Design @airbnb, ex-affirm, rga, google, iu. I spend my energy visualizing a better future, and inspiring my team to build the awesomazing products! With technology becoming ubiquitous part of our cultural fabric, internet of things is pushing us to go beyond screens and think of every surface as a digital playground. These articles discuss product packaging as ambassadors of innovative digital experiences.